What is the real difference? What is the difference and why does the Professional Edition cost more? The answer may best be given by an analogy. Remember using the Shore Protection Manual and having to make detailed calculations, developing spreadsheets of answers as a function of wave height or stone size / weight. The SPM gave a tremendous amount of information on ‘How to do’ something related to coastal project design. But the effort to carry out required calculations was very time consuming and highly prone to human error. The Professional Edition of the CEM (about 3 times the size of the SPM) not only tells you how to do something but does it for you with a click of the mouse. It is not only a manual, but a sophisticated computer program with over 500 codes that allows most of the required computations to be performed within the manual. Time saved by the use of CEM-PE quickly repays its initial cost many times over. 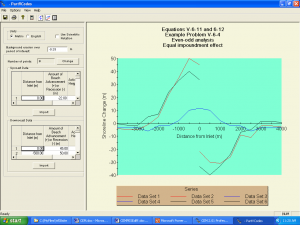 The Standard Edition is designed primarily as a Reference Manual while the Professional Edition is designed for the coastal practitioner who makes computations using equations in the CEM. 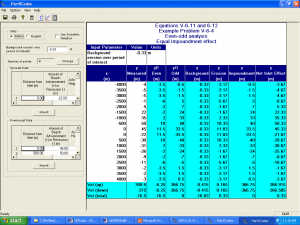 In the Standard Edition, everything contained in the Professional Edition is included except the capability to perform calculations within the CEM. CEM-SE is a practical way to have access to the manual used worldwide and inexpensive enough to have multiple copies.